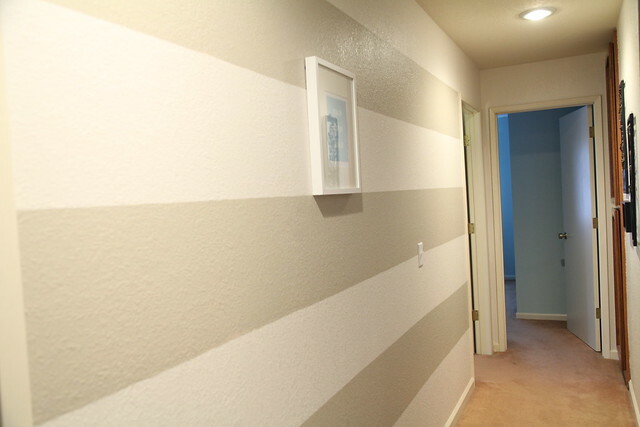 I’ve mentioned a few times that one of my many projects is creating a relationship timeline on my stripe hallway wall. Well, here’s what I have so far. I have only one piece of artwork (a personalized print by Sarah Dorsey), but it is a start. With that said, today’s assignment is forcing me to get my rear into gear with the rest of the artwork I want to put up on that wall. Now that I finally have all my official wedding photos (LONG story, another day), I have a white RIBBA frame that I want to put some nice wedding photos in. I have a few other photos already printed, ready to be framed, but I need to get frames for them. Some are going to be shadowboxes, some will be plain old frames. This project also goes along with my other task of organizing my office closet because one of the bags in my closet is wedding/relationship trinkets that need to go in a shadowbox or scrapbook. Hopefully once this project gets tackled others will get taken care of in the process.